The 76th Regiment of Foot was originally raised as Lord Harcourt’s Regiment on 17 November 1745 and disbanded in June 1746. Following the loss of Minorca to the French, it was raised again in November 1756 as the 61st Regiment, but renumbered to 76th, by General Order in 1758, and again disbanded in 1763. A second battalion raised by that regiment in October 1758, for service in Africa, was renumbered as the 86th Regiment and also disbanded in 1763. On 25 December 1777 the 76th was again re-raised as the 76th Regiment of Foot (Macdonald’s Highlanders) by Colonel John MacDonell of Lochgarry, in the West of Scotland and Western Isles, as a Scottish Light Infantry regiment. It was disbanded at Stirling Castle in March 1784. The regiment was again raised for service in India by the Honorable East India Company in 1787. In 1881 the 76th Regiment, which shared the same Depot in Halifax as the 33rd (Duke of Wellington’s) Regiment, was linked to the 33rd, under the Childers Reforms, to become the regiment’s 2nd Battalion. Although retitled as the Halifax Regiment (Duke of Wellington’s) this title only lasted six months until it was changed on 30 June 1881, in a revised appendix to General order 41, to: The Duke of Wellington’s (West Riding Regiment), or ‘W Rid R’ for short. In January 1921 it was again retitled The Duke of Wellington’s Regiment (West Riding), or ‘DWR’ for short. On 6 June 2006 the ‘Dukes’ were amalgamated with the Prince of Wales’s Own Regiment of Yorkshire and The Green Howards, all Yorkshire-based regiments in the King’s Division, to form the Yorkshire Regiment. During 1745 13 provincial ‘foot regiments and two horse regiments, the 67th to the 79th, were raised by the nobility of England for service in the Jacobite Rebellions in Scotland. Lord Harcourt raised the 76th and as was the custom at that time named it Lord Harcourt’s Regiment. Despite initial resistance by senior regular officers he and the other members of the nobility who raised the regiments each received regular commissions as colonels in the army. The 76th, along with 10 others, was disbanded on 10 June 1746, when their services were no longer required. The soldiers were given a bounty of only six days pay, to encourage them to enlist into other regular regiments. The regiment was raised again in 1756 for service in the Seven Years’ War and disbanded in 1763, although little is known about this period in the regiments’ history. The 76th Regiment of Foot (MacDonald’s Highlanders), sometimes referred to as ‘MacDonnell’s Highlanders’ after its colonel, John MacDonnell of Lochgarry, was a Scottish Light Infantry regiment raised in the west of Scotland and western isles of Scotland on 25 December 1777, by the Clan MacDonald. It consisted of seven companies of Highlanders: two of Lowlanders and an Irish company. 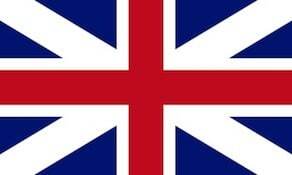 It was presented with its colours at Inverness in March 1778 and moved into barracks at Fort George. In March 1779 it moved to Perth where, following a dispute over their pay and bounty payment, soldiers from the regiment took part in the Burntisland mutiny of March 1779, whilst under the command of Major John Sinclair, 11th Earl of Caithness (Lord Berridale), after which it was transferred to Jersey in the Channel Islands and embarked for New York in August 1779. The regiment campaigned from March 1781, under the command of Major Francis Needham, 1st Earl of Kilmorey (who was also the regimental Colonel of the 86th Foot) in the American Revolutionary War at Petersburgh, Portsmouth and Osborne’s Hill in the Battle of Brandywine. The regiment was captured in the Siege of Yorktown seven months later in October. It was split up and the troops were interned at various locations throughout Virginia. Following the end of the war, in 1783, it returned to Scotland and was commanded by Sir Robert Stuart. The regiment was finally disbanded at Stirling Castle in March 1784. The majority of recruits were raised from Nottingham and Leicestershire, but many of them came from the Musgrave family estates around Hayton Castle, near Aspatria, Cumbria. The Colonel of the Regiment was General Sir Thomas Musgrave, 7th Baronet (1737-1812) of Hayton Castle. The regiment took part in a number of battles of the Second Anglo-Maratha War, including the Battle of Ally Ghur, when British forces besieged it. At the time it was one of the strongest forts in all of India, and was commanded by General Perron, a Frenchman. The 76th fought stoutly during that battle, against astonishing resistance by the enemy forces, receiving a number of dead and wounded, in no large part due to the fierce hand-to-hand fighting that took place during the action. The regiment also took part in the capture of Delhi and Agra, as well as the Battle of Leswaree, where they performed with great courage in one of the bloodiest of battles. For their distinguished service in these actions, King George III gave his authorisation to the 76th, allowing them to have the word “Hindoostan” emblazoned upon the regimental colours, along with an elephant badge with a howdah atop the elephant, also inscribed with the word “Hindoostan”. It was also presented with a stand of honorary colours, making the regiment the only one to carry four colours on parade. The names inscribed upon the colours were “Ally Ghur”, “Delhi”, “Agra” and “Leswaree”. In 1806 the regiment returned to the United Kingdom. The following year, the regiment was deployed to Jersey in the Channel Islands for garrison duty. It was stationed there until 1808, when the 76th were deployed to Spain to take part in the Peninsular War. In that campaign, the regiment fought at the Battle of La Corunna in January 1809, as part of the 2nd Division, under the command of Lieutenant-General Sir John Hope. The 76th fought with distinction in a battle that caused 800 casualties for the British and 1,500 for the French. In that same year, the 76th were then involved in the disastrous expedition to the Low Countries. Some 39,000 troops landed at Walcheren, with the objectives of destroying the French fleet, believed to be at Flushing, and of assisting the Austrians who were now at war with France. Unfortunately, by the time the British forces had actually landed, the Austrians had been defeated. The British did capture their objective of Flushing, but the French fleet had already escaped, making their way to Antwerp. During the expedition, the 76th was part of the 3rd Division, which landed on Walcheren Island while other divisions landed on South Beveland Island. Over 4,000 men died in the expedition: only 106 of these in combat; the rest were taken by Walcheren Fever. Many thousands who took part in the expedition were still weakened by the illness despite returning to Britain. It was a truly disastrous campaign. In 1813 the 76th returned to Spain, taking part in a number of actions in the closing months of the campaign. The Peninsular War was soon over though. The 76th were not to get any respite and were soon dispatched to take part in the British–American War: a war that had begun just a year before, in 1812. The 76th, now in Canada, were part of the force that took part in the failed Battle of Plattsburgh at Lake Champlain in September 1814. The regiment then served thirteen years in Canada, defending the border with the USA against any further aggression by Canada’s neighbours. The regiment did this duty professionally, despite the boredom that was ever-present in doing these duties. The 76th finally returned home in 1827, their job done. The 76th then, due to peace that would not be shattered until the 1850s, had garrison duties as their main role. It went to the West Indies and to the Mediterranean; in 1834 it returned to Canada. It was then stationed in Bermuda for just a year, from 1840–1841, before returning once again to Canada where it remained until 1843. In 1850 it was deployed to Malta, the only British possession in the middle of the Mediterranean Sea; and Corfu. In 1853, the regiment was again sent to Canada, staying there until 1857, performing numerous duties, including putting out the fires that occasionally occurred. In 1858, the regiment was stationed in Dublin. In 1861, the 76th arrived in Glasgow, with a few companies being dispatched to Ayr and Paisley. The following year, the regiment was moved to Aldershot: first by sea to Liverpool, then by rail to their final destination. In 1865 the 76th returned to the country they had been created for – India. It remained there until 1868, being deployed to Burma and remaining there for a further three years. The 76th was linked in 1881 with the regiment at that time titled the 33rd (Duke of Wellington’s) Regiment, whose training depot they shared in Halifax, in the West Riding of Yorkshire, due to the Childers Reforms (a continuation of the Cardwell’s Reforms of the armed forces) to form the 2nd Battalion of the regiment. On 6 June 2006 The Duke of Wellington’s Regiment (West Riding) amalgamated with the Prince of Wales’s Own Regiment of Yorkshire and the Green Howards – all Yorkshire-based regiments in the King’s Division – to form the Yorkshire Regiment.